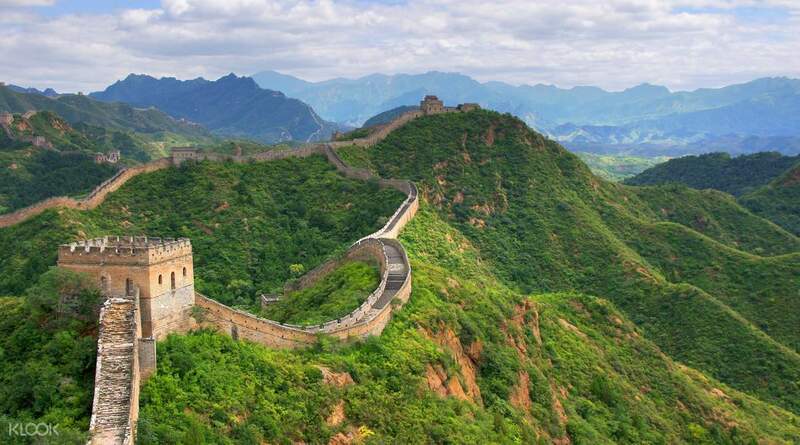 Discover two of Northern China's most incredible attractions at the Badaling section of the Great Wall and the Ming Tombs on a one day tour from Beijing. 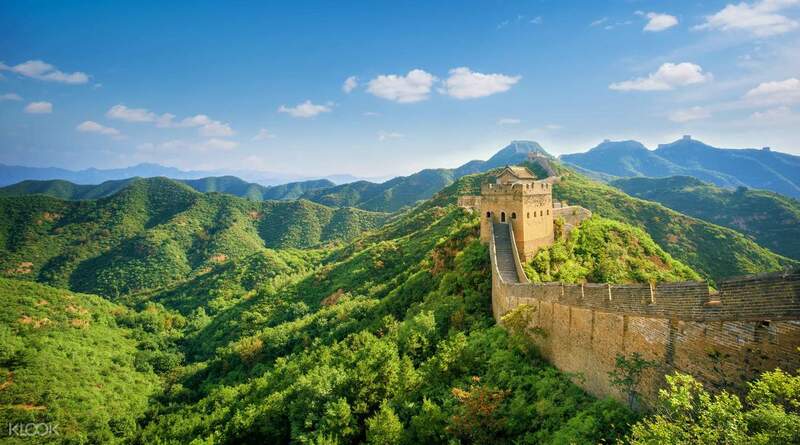 Accompanied by an expert, local English speaking guide, you'll visit one of the best restored parts of the Great Wall of China and marvel at the beautiful, spectacular scenery that surrounds the Badaling section. 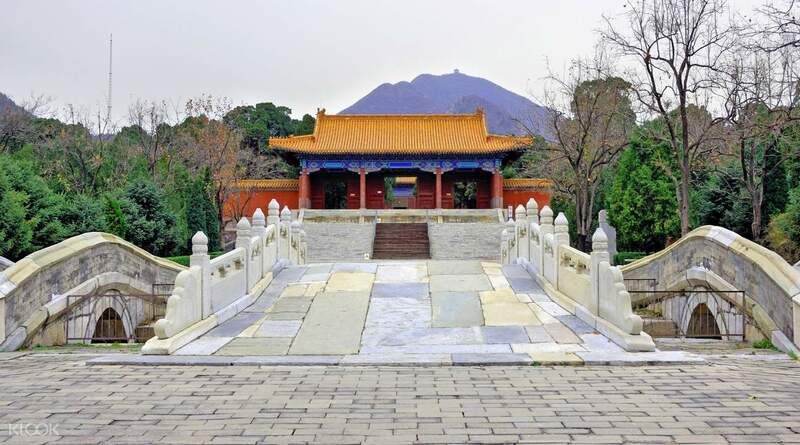 Then, explore the Chang Ling Tombs, a magnificent Ming Emperor burial site dating back to the 1300s. Along the way you'll also be taken to lunch at a local, authentic Chinese restaurant. The convenience of round trip transportation from your Beijing hotel makes this the perfect introduction to your China experience. We went to the Great Wall at Badaling during the Mooncake festival so it was a bit crowded. I recommend going here during off season since Badaling is one the most accessible to tourists and it can get a bit crowded. Overall, it was a great experience. I enjoyed the tea ceremony that was included in the package plus lunch was awesome! We went to the Great Wall at Badaling during the Mooncake festival so it was a bit crowded. 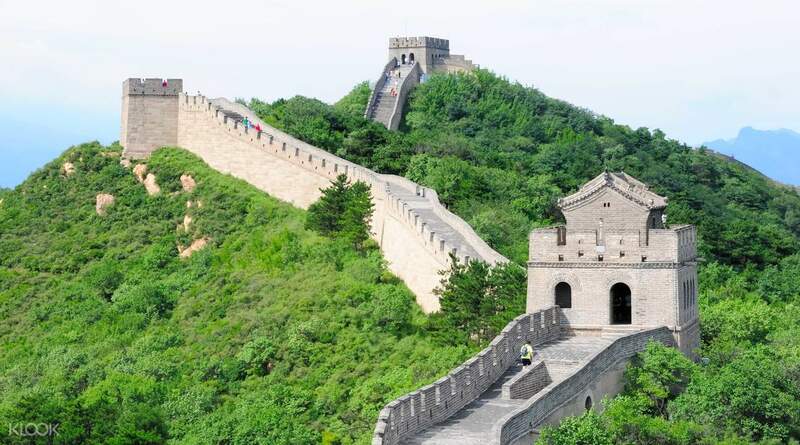 I recommend going here during off season since Badaling is one the most accessible to tourists and it can get a bit crowded. Overall, it was a great experience. I enjoyed the tea ceremony that was included in the package plus lunch was awesome! Good experience. Tour guide was informative and very nice. The tour about 12 hours from pick up until back to hotel. But i went to the great wall during summer holiday of chinese students on August, so the road very crowded and had traffic jam. Good experience. Tour guide was informative and very nice. The tour about 12 hours from pick up until back to hotel. But i went to the great wall during summer holiday of chinese students on August, so the road very crowded and had traffic jam. Tour guide is knowledgeable relative to the tour and the Great wall is so amazing. Tour guide is knowledgeable relative to the tour and the Great wall is so amazing. Mr rocky is a great tour guide! 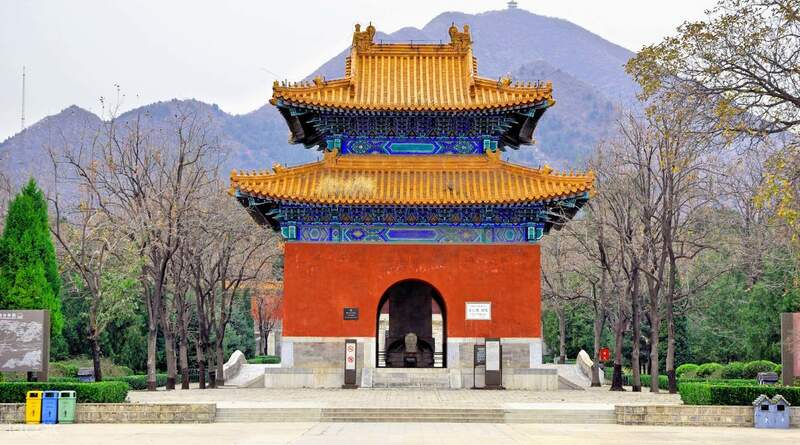 We had more than enough time to explore the ming tombs and great wall (considering the chilly weather). We got picked up right on time (before 7am), which was helpfully confirmed the evening before through hotel phone+ a message left via hotel desk. Didnt expect much from the jade shop+lunch so that was fine, tea ceremony was surprisingly quite informative too. Mr rocky is a great tour guide! We had more than enough time to explore the ming tombs and great wall (considering the chilly weather). We got picked up right on time (before 7am), which was helpfully confirmed the evening before through hotel phone+ a message left via hotel desk. Didnt expect much from the jade shop+lunch so that was fine, tea ceremony was surprisingly quite informative too. Our tour guide, Tony picked us up on time. He was very knowledgeable and enthusiastic when sharing about China’s history. Learned so much about the trip. It was just unfortunate that the traffic was really bad because it is a long weekend holiday. Overall, a good experience. Would have been an even better experience if the driver have driven more carefully. There are times when he suddnely stop and we felt the impact at the back. But maybe he needs to reach the destinations on a certain time. Otherwise, still you get the value of what you paid for. Our tour guide, Tony picked us up on time. He was very knowledgeable and enthusiastic when sharing about China’s history. Learned so much about the trip. It was just unfortunate that the traffic was really bad because it is a long weekend holiday. Overall, a good experience. Would have been an even better experience if the driver have driven more carefully. There are times when he suddnely stop and we felt the impact at the back. But maybe he needs to reach the destinations on a certain time. Otherwise, still you get the value of what you paid for. Well organised tour! Had a good lunch and enjoyed great wall however there are lots of people!!!! Went to jade and tea shops as well for side trips. Thanks klook! Well organised tour! Had a good lunch and enjoyed great wall however there are lots of people!!!! Went to jade and tea shops as well for side trips. Thanks klook! The tour was cheap however we were surprised that we had to pay additional RMB 140 for the cable car to the Badaling side of the wall. It should be clear in the advertising that it is not optional but mandatory. Also, I feel like we wasted a lot of time in the Jade shop. It would be better if a tour in a tea market should have been included instead of the Jade shop in the itinerary. The tour was cheap however we were surprised that we had to pay additional RMB 140 for the cable car to the Badaling side of the wall. It should be clear in the advertising that it is not optional but mandatory. Also, I feel like we wasted a lot of time in the Jade shop. It would be better if a tour in a tea market should have been included instead of the Jade shop in the itinerary. My tour guide Nicky is very helpful. Her English is very easy for me to understand although a bit Chinese Mainland accent. So we were asking her, where is the best Peking duck in Beijing. Although this question is beyond her job she is still helpful and treat you like bestfriend! Thank You Nicky. Okay for this Badailing trip is quite pack with people even in low season like the time I went. Picture? Not so instagramable for youth like us. But well touristy shot was okay too. consider if you go yourself it will be troublesome like direction, language barrier, Oh did i mention google maps not working in China? And even if it works it will nt work well (not updated). some location was wrong. This tour was included the lunch session. I personally think it is good enough even some other people complained "this is the most western chinese food i've ever eat" Oh come on please do not expect dimsum or tradisional Chinese food, it is just Chinese food in general and it taste good! That all matters. Booking via KLOOK so easy. Nicky called us via our hotel phone... Easy! Important! You need to give information of your hotels btw.. My tour guide Nicky is very helpful. Her English is very easy for me to understand although a bit Chinese Mainland accent. So we were asking her, where is the best Peking duck in Beijing. Although this question is beyond her job she is still helpful and treat you like bestfriend! Thank You Nicky. Okay for this Badailing trip is quite pack with people even in low season like the time I went. Picture? Not so instagramable for youth like us. But well touristy shot was okay too. consider if you go yourself it will be troublesome like direction, language barrier, Oh did i mention google maps not working in China? And even if it works it will nt work well (not updated). some location was wrong. This tour was included the lunch session. I personally think it is good enough even some other people complained "this is the most western chinese food i've ever eat" Oh come on please do not expect dimsum or tradisional Chinese food, it is just Chinese food in general and it taste good! That all matters. Booking via KLOOK so easy. Nicky called us via our hotel phone... Easy! Important! You need to give information of your hotels btw..